The ‘I love New York’ famously stylised logo began in 1977 as an advertising campaign to boost tourism in the city. Since then, New York has firmly established itself as the cultural capital of the world; a hub of fashion, creativity and innovation. But, in our opinion -the Big Apple can keep its Statue of Liberty, Empire State Building and Central Park, because we have The Angel of the North, the Turnbull Building and Leazes Park – and we wouldn’t swap them for the world! When Greggs recently reversed its logo so that it could be seen in Instagram snaps mirrored in the opposing Fenwick window, the country laughed. Both Greggs and Fenwick are connected inherently with the North East, with visiting the store’s Christmas window an integral part of being a ‘bairn’ in the region. This was truly a stroke of brilliance. With the so-called ‘death of the high street’, it is evident in Newcastle city centre that there is an understanding that consumers need to be offered more. When it is so easy to shop online instead of facing the elements pounding the pavement, the public need to be enticed by the experience. Throughout the city, there are now pop-up Christmas market stalls and rides and games for children, as well as an ice rink and Santa’s grotto. Newcastle looks more alive and festive than ever before. Newcastle is set to become a world leader, using digital technology to transform the city. The council has approved plans for a technological revolution, pledging to use digital sensors and data to revolutionise the way it deals with problems like parking and air pollution, which is an issue close to our hearts. There is no shortage of amazing cafes, bars and restaurants offering top class ‘scran’ in Newcastle, but a new addition to the scene is doing things a little differently. The Magic Hat Cafe is fighting food waste by ‘upcycling’ surplus food, that would otherwise be sent to a landfill, to feed the community. Customers pay what they feel their food is worth and can even pay with their time by washing up or volunteering. This means the food is accessible to anyone, no matter their financial status. 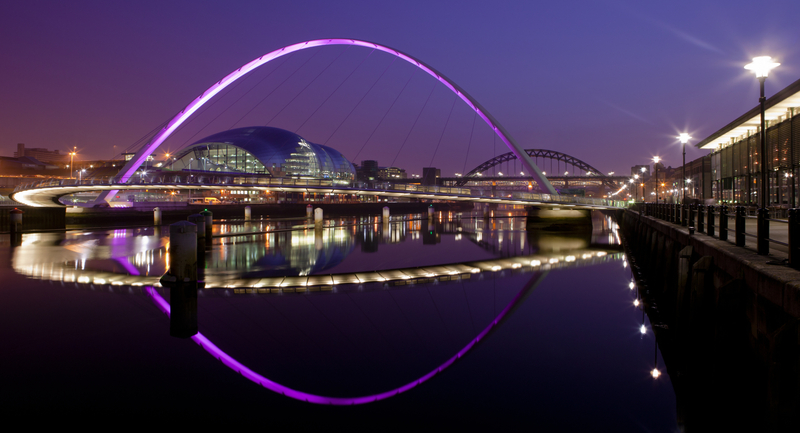 For these reasons, and more, we are passionate about Newcastle and proud to have one of the region’s biggest employers, Go North East as a long-standing client. If you need PR support from an award-winning agency that has regional know-how but national reach and expertise, please get in touch with our team. Howay, man! Looking for an award-winning agency?